Swing into Spring in San Antonio. 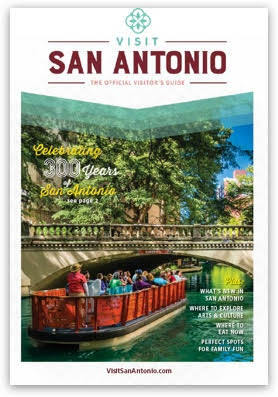 San Antonio blooms with fresh things for the whole family to do and see in spring. Explore our Spanish colonial missions. Enjoy the thrill of new rides at our theme parks and explore our many museums. Ready for thrills? Check out the all-new Breakaway Falls, the tallest drop slide in Texas, at SeaWorld & Aquatica San Antonio. Head to Six Flags Fiesta Texas, home to the Wonder Woman Golden Lasso Coaster - first single-rail coaster. Take a walk on the wild side at San Antonio Zoo, then visit the amazing new SEA LIFE Aquarium and LEGOLAND Discovery Center, opening in May 2019. Want a cultural diversion? Discover fascinating exhibits at The Witte Museum, including massive dinosaur displays. Visit our world-class art museums, like the San Antonio Museum of Art, the McNay Art Museum, and the Briscoe Western Art Museum. 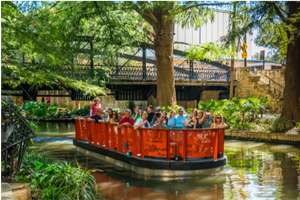 Explore what's new at the San Antonio Botanical Garden, the Institute of Texan Cultures, or The DoSeum, our city's inspiring museum for kids. What's new outside? Check out the reimagined San Pedro Creek Culture Park where colorful murals tell the story of San Antonio's rich history. Stretch your legs at Hemisfair park and its popular Yanaguana Garden's splash pad and playscape of ropes and slides. In the evening, view the captivating video art installation, “San Antonio | The Saga" on the fasade of the San Fernando Cathedral at Main Plaza. 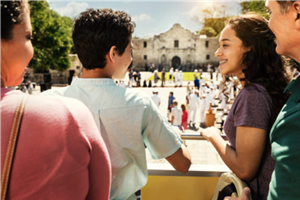 San Antonio is the ultimate spring family adventure. Plan yours now.